For for grammatical reasons, English can usually say something with fewer words than Spanish. A text in English tends to shrink by about 20 to 25% compared to the Spanish original. But there are exceptions. "Atención: estación en curva. Al salir, tengan cuidado para no introducir el pie entre coche y andén." It’s a lot more than 25% longer. In fact, nothing would predict that this would be effectively the same message in that locality. Localization involves adapting meaning to a regional culture, which may have its own way of doing things. Sometimes translation is more than just words. Be careful. 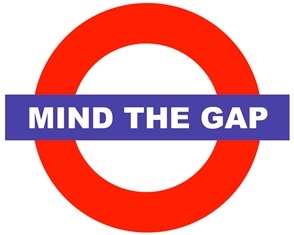 It's 'Please mind the gap between the train and the platform' on the announcements whenever I travel by tube, which is still shorter, but not as drastically so. Here in Chicago they say sometimes say something about noticing that the platform being lower than the train, and it's pretty wordy. I suppose I should pay attention. But there are no curved platforms, so there are no proper gaps. This page was loaded Apr 24th 2019, 9:03 am GMT.